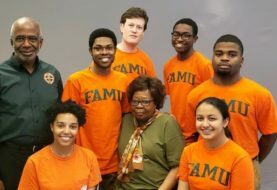 Florida A&M University’s first female drum major Cori Bostic was recently honored at the African Diaspo ra Awards in Fort Lauderdale, Florida. This nationally recognized award has been given to more than 100 individuals, organizations and institutions since its inception. 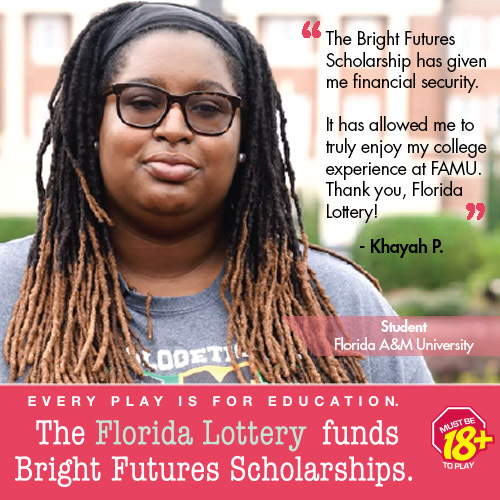 When receiving the phone call notifying her about the award, the senior broadcast journalism student could not believe that she was chosen to be honored. To receive this award, someone within the corporation, Perfect Results Inc., nominates an individual and after deliberation, President and CEO Jane Bassa-Tolliver gives the final say. When Bostic was nominated, Tolliver admits she didn’t know about Bostic’s place in history. “After Kenya Tolliver nominated her and told me of her outstanding achievement, it felt like I was living under a rock,” Tolliver stated. Tolliver created and produced Perfect Results Inc., in 2002. This company is the gateway to their signature event the African-Diaspora Awards. The chosen honorees have given outstanding service and contributions both locally and worldwide . They include educators, civil rights pioneers, business trailblazers, athletes, role-models, activists, and everyday hardworking individuals. Tolliver chose “Empowered Women” as the theme for this year’s award show because of the many leading women in Congress. More than seven notable women were nominated for the African Diaspora Awards. Bostic, who is a student leader of the Marching “100,” was proud to make the list. Breaking barriers did not happen overnight for Bostic. After years of envisioning herself in this position, her dreams manifested into reality. A portion of the proceeds from the night went towards scholarships in the area along with a $1,000 cash prize for Bostic. Also honored that night were the Zeta Rho Omega Chapter of Alpha Kappa Alpha Sorority, Inc., Carmella Morton, Elois Hayes, Burnadette Norris-Weeks, Angela Harris-Williams and Cori “Coco” Gauff.